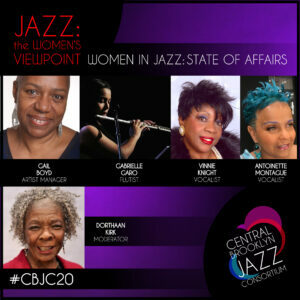 In its 20thSeason, the Central Brooklyn Jazz Consortium, Inc. (CBJC) in partnership with International Women in Jazz, Inc. honors Women’s Month with Jazz: The Women’s Viewpoint on Saturday, March 30, 2019 at 3pm. The afternoon will consist of a panel discussion and performances with renowned women jazz musicians in the Downtown Brooklyn vicinity at Lafayette Avenue Presbyterian Church, 85 South Oxford Street, Brooklyn, NY. CBJC offers annual panel discussions for jazz enthusiast and the community at large to participate in dialogue on the history of Women’s roles in Jazz, present and future. Bessie Edwards, CBJC Executive Director, commented on the continuing need for the event. The event will feature a panel discussion with outstanding women of Jazz. Antoinette Montague, host of “Jazz Women to the Rescue Show” on WHCR 90.3FM, explores the present condition of women in jazz, Dorthaan Kirk, Newark’s First Lady of Jazz and a co-founder of WBGO-FM radio, will moderate the discussion, Gabrielle Garo, Flutist and Ambassador for the 2018 Latin Grammy Awards, represents the future outlook, Gayle Boyd, Artist Management, presents the past and common thread of the past, present and future, and Vinnie Knight, Vocalist, offers a snapshot of the past. The day will start and end with live music and dance performances with the JTWVP Band, and close with a live jam session. The Central Brooklyn Jazz Consortium (CBJC), now in its 20thyear, was founded by Alma Carroll, Viola Plummer and Torrie McCartney. CBJC, consisting of local and international musicians based in Brooklyn, and has entertained countless communities with jazz. This anniversary will present several site performances and welcome opportunities for the community to embrace the monumental tradition of jazz from a local and global perspective. With a fresh approach, CBJC will be featuring musicians new to the scene that bring innovative styles, envisioning the next 20 years, while honoring those who have adorned the stage for decades. 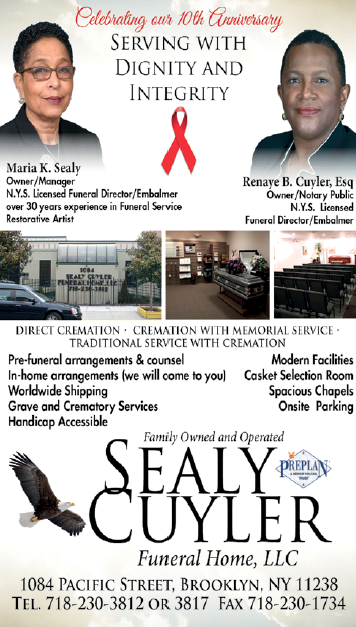 This program is supported in part by public funds from the NYC Department of Cultural Affairs in Partnership with the NYC Council.